Item Size: 8 1/2" x 11"
SPECIAL NOTICE: We are currently selling both the "old" and the "new" revised FTC Buyers Guide window stickers for used cars. Dealers are permitted to use their remaining stock of Buyers Guides for one year after January 27, 2017. If you print these using a program be sure to update the alignment for the new version. 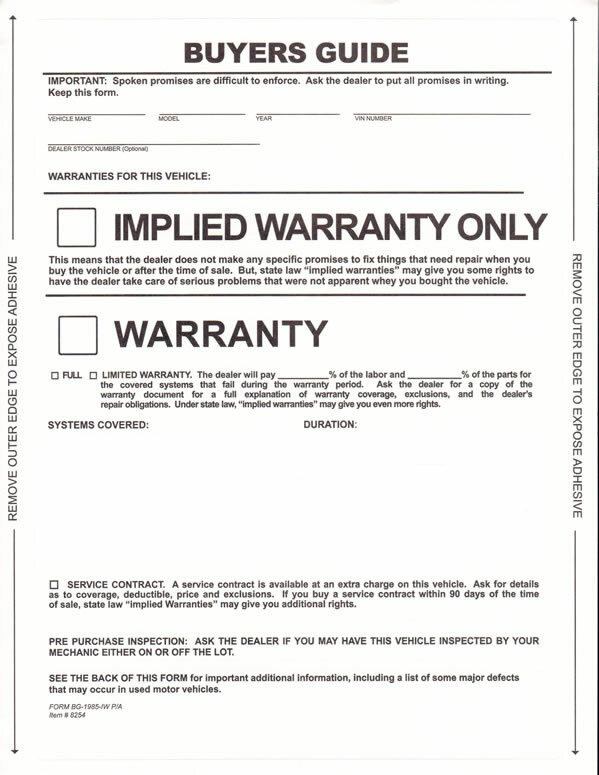 The Buyers Guide-Implied Warranty Form style used by auto dealers is an important form. 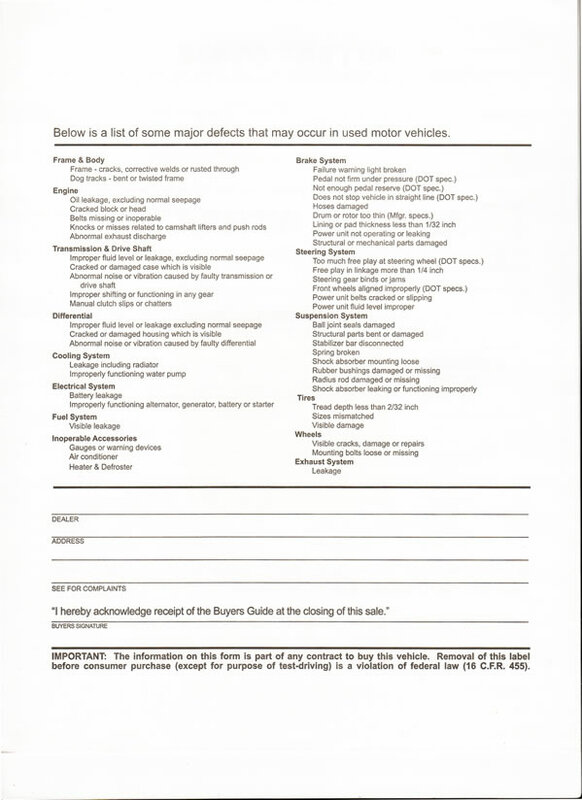 This 1-part buyers guide form has permanent adhesive tape on all 4 sides to adhere to the inside of the vehicle window. They're printed in black ink with grey back printing and laser compatible. The form is available with lines or without lines.